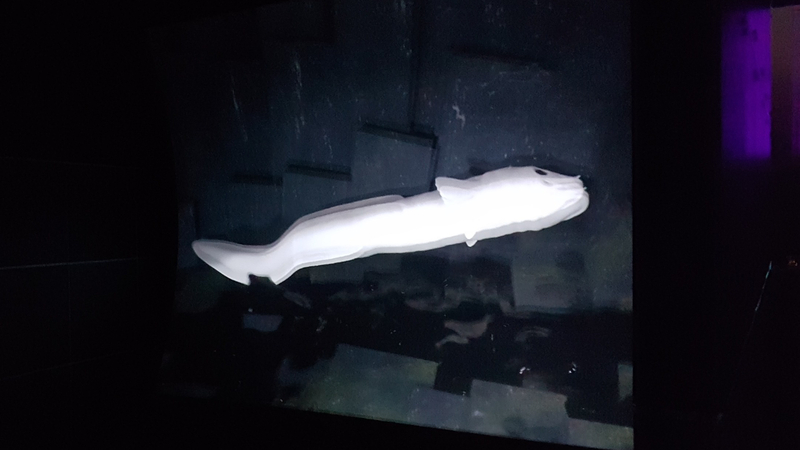 So a VR artwork by Hayden Fowler had some technical difficulties, and since I had no pressing work I got to fly down to Adelaide with a spare projector and fix everything. I flew down Thursday night, and had to have it all working by Friday 5pm for the opening night of the Adelaide Biennale where it was being shown. It was a long day, but Hayden and I got there and had everything working in time. Projectors and planes don’t mix! It certainly looked impressive when it got working correctly, unfortunately taking a picture of 3D VR projections doesn’t really work.